Well tomorrow is the big day. 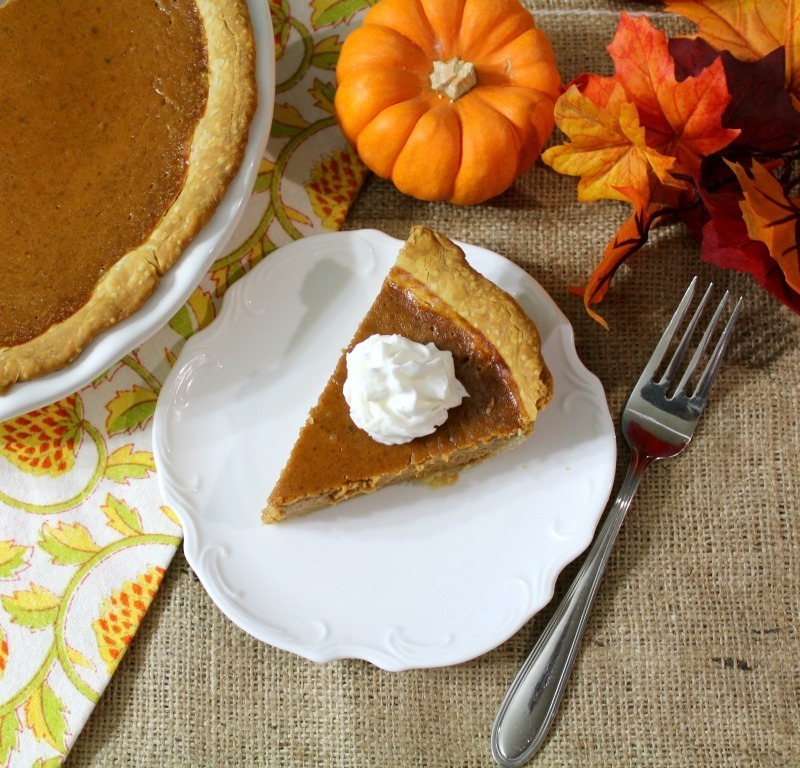 Are you prepared for Thanksgiving? I have been making all of my favorite side dishes for Thanksgiving, not really planning a big Thanksgiving dinner. One thing about this time of year is it is just my Husband and I. I don’t feel it’s worth putting all of the effort in for only 2 people. I hate spending all day cooking, especially when it’s gone in a matter of 10 minutes. That is a lot of work for one person. However, my Husband just texted me and said he got a turkey and my step-daughter (Little Jenny) also texted me and said are we doing Thanksgiving? It looks like I may? Well, I already made the dessert! 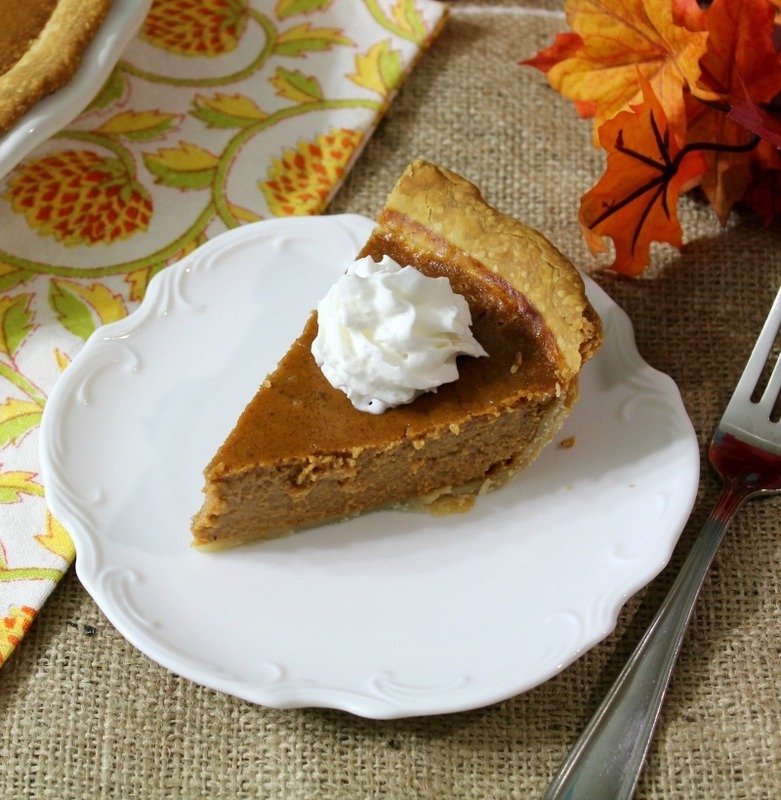 Today I have for you Classic Pumpkin Pie. This pie turned out perfect. It is creamy, thick and just the perfect amount of spice. The pumpkin just melts in your mouth. Oh so good. It is truly the classic recipe. Plus what is great, it only takes a matter of minutes to make. You can’t be that. You know I am always about easy, fast recipes. For the filling I used pumpkin puree and the secret ingredient is evaporated milk. For the sweetness and golden color I used brown sugar. Of course I added some eggs, and pumpkin spices. It was so easy to make. For the crust I cheated. I used a Pillsbury Pie Crust. It’s just so much quicker and tastes great. By all means, make your own if you desire. I know I have told you this story, but I’ll tell it again. When I was in my 20’s, I went to my Mom’s for Thanksgiving. I said what can I bring? She said pumpkin pie. I said ok. so I attempted to make my own pie. It had all of the right ingredients, but I didn’t bake it. Now that I think about it, why wasn’t it runny? But anyway, I didn’t bake it, and my Mom served it at dinner. Yeah I was pretty embarrassed when everyone cut into the pie. I’m really trying to think what did I put in that pie that didn’t make it runny? Anyway, be sure to bake your pumpkin pie. Lesson well learned on my part. How embarrassing…. 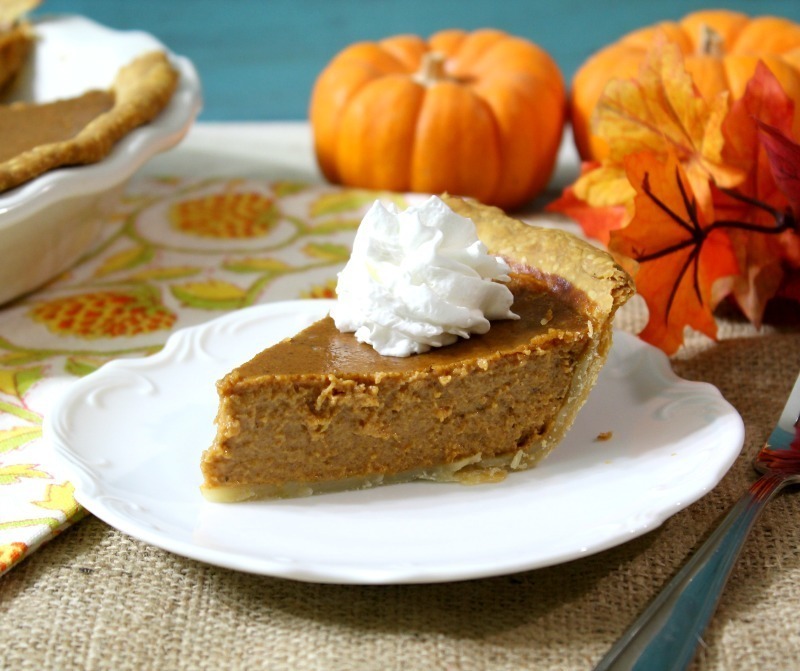 Rich, creamy, easy to make pumpkin flavored pie with deep Fall flavors. Simply a classic recipe. Place pie crust on a 9" pie pan, press crust into place. Trim edges and flute. Freeze for 15 minutes. Meanwhile, in a bowl, add remaining ingredients. Whisk until well combined. Pour filling in prepared pie crust. Place pie in oven and bake in oven for 50 - 60 minutes, until set in the center with barely any wobble when gently shook. I have a question for you. Now that Thanksgiving is here, does this mean pumpkin season is over? I have more pumpkin recipes I want to make. The Fall season when so quick. Have a wonderful day and a Happy Thanksgiving! 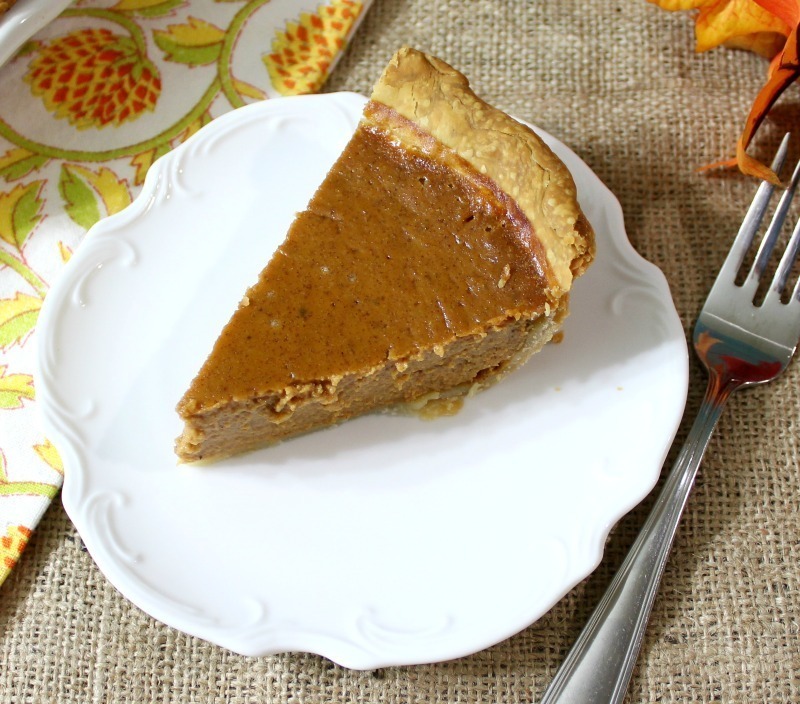 I make pumpkin pie even in the summer if I’m craving it! Lol. But it’s all in moderation just like everything else. Besides pumpkin and dark chocolate are good for you too! Happy Thanksgiving to you and your family! That is true, you can have pumpkin just about anytime of the year. I wish you and your family a Happy Thanksgiving! 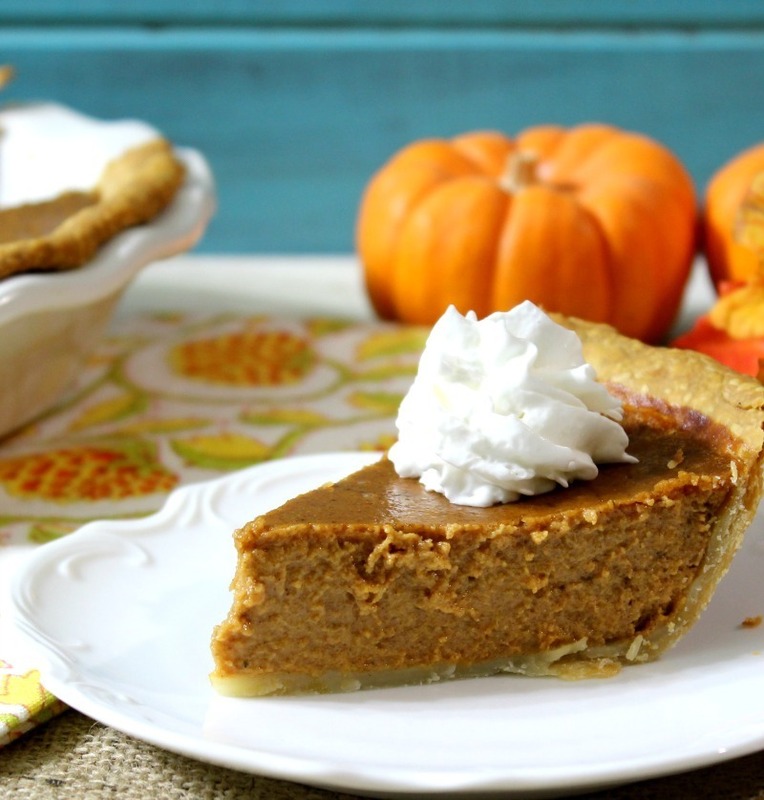 I love pumpkin pie year round. This sounds delicious. Thank you Barbara! We loved it!